Tennis fans around the world have turned their attention towards Melbourne as the ever-popular Australian Open reaches its second week. With tennis fever well and truly in the air, have you caught yourself thinking that you would like to be a part of it too? 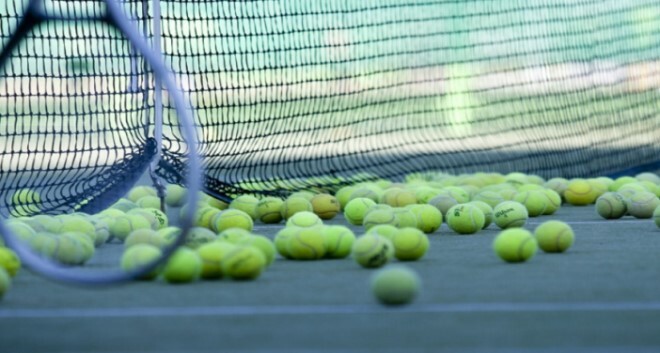 You may be surprised to know that it takes a wealth of collaboration between people from a variety of industries to make tennis tournaments run smoothly. From media officers and dietitians to cleaners and tech personnel, let’s take a look at some of the various career paths available in the tennis world. Coach: it may be an obvious choice, but the role of coach can sometimes go unappreciated amidst the hype surrounding players. Tennis coaching is a challenging yet rewarding role that focuses on refining and developing the skills and techniques of the world’s best players. A successful tennis coach requires a number of attributes, but outstanding communication skills and an in-depth knowledge of tennis are some of the most important. Physiotherapist: when most people think of a physiotherapist, they envision a trip down to their local clinic to get any aches and pains treated. Physiotherapists can go beyond a private practice to utilise their skills on some of the world’s best tennis players, becoming a core part of their healthcare team. Providing physical conditioning and helping players with recovery and rehabilitation are just some of a physio’s key duties. Camera operator: the global popularity of tennis gives camera operators the opportunity to work beyond a film or television set. Whether you are capturing a tennis match or recording player interviews for a television broadcast, it is a great role for tech-savvy sport lovers with a strong creative streak. Events coordinator: tournaments like the Australian Open require a huge amount of organisation, with attention to detail and time management being crucial to the success of such events. If you are an organised individual who can work to precise budgets and deadlines, a career as a sports events coordinator could suit you. Sports administrator: those with a strong passion for sport and sound business knowledge could find their niche in sports administration. You could manage a peak sports body or association like Tennis Australia, working with clients and stakeholders to promote and secure sponsorship for events like the Australian Open. Sporting equipment designer: if you can’t watch the tennis without thinking of ways to improve the equipment, from racquets and shoes to the playing surface, why not channel your creative mind into revolutionising the tennis world? Sporting equipment designers use their engineering knowledge to create new pieces of equipment and innovate current designs. Security officer: security officers take the frontline in ensuring that big tennis tournaments like the Australian Open run smoothly. Those who are physically fit and observant with brilliant communication skills could go from protecting the likes of Federer and Nadal to providing crowd control at a tournament entertainment event. Journalist: journalists, particularly those who specialise in sport, are responsible for keeping the general public updated on everything tennis. Whether it is providing on-the-ground coverage, writing articles about matches or carrying out player interviews for a media outlet, journalists take on a prominent role in the tennis world. Advertising account executive: through close work with clients and stakeholders, account executives coordinate and deliver advertising campaigns that can promote events like the Australian Open. A career in tennis can be achieved by continually collaborating with peak bodies, sponsors and even players themselves to market the sport to consumers. Statistician: there is no doubt that statistics are vital to the sporting world, creating career options for mathematicians with a keen interest in tennis. Sports statisticians are responsible for the collection and investigation of data to make predictions on player performance. An eye for analysis, strong mathematic ability and good problem solving skills are key attributes of sports statisticians.